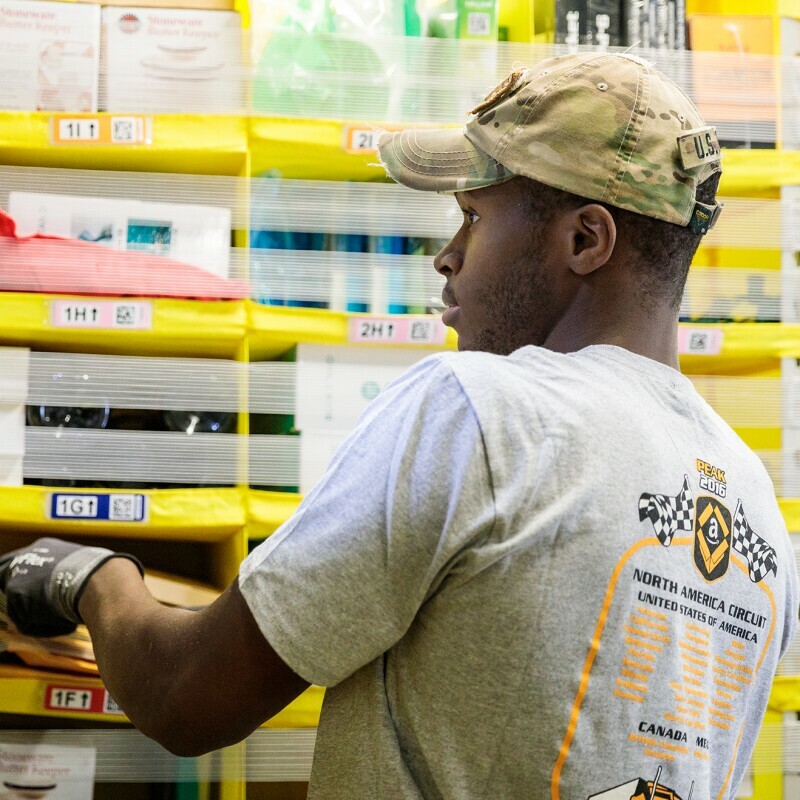 Amazon’s medical benefits provide support for one man’s life and his American dream. Rushit and Krishna Mehta enjoying a game of backyard soccer with their son, Vraj. 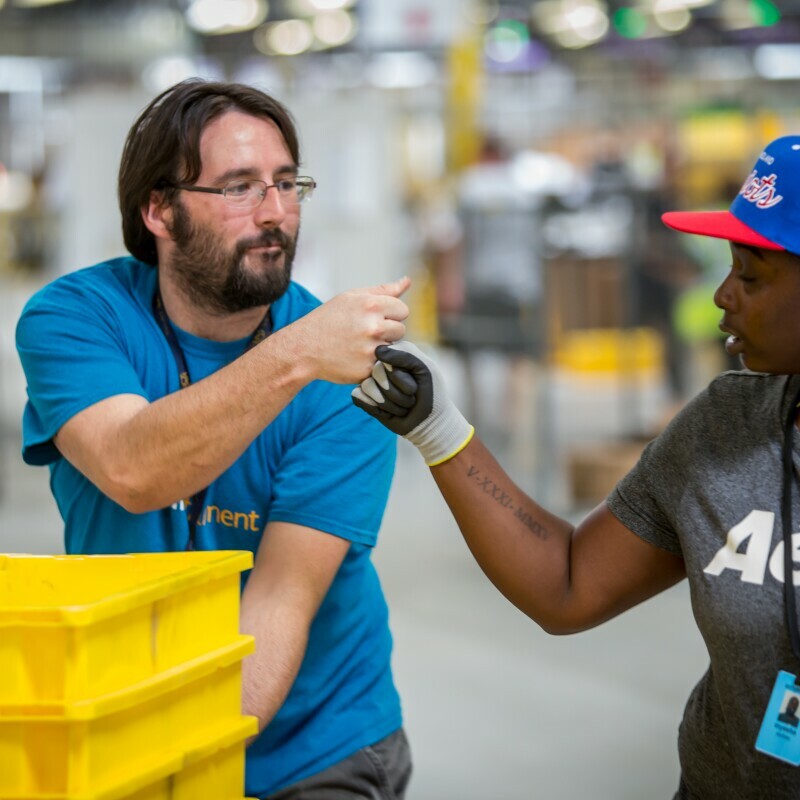 Mehta and colleague Chip Lewis reminisce about working together at the Amazon Fulfillment Center in Middletown, Delaware when it first opened in 2012. Mehta leads his team during the daily standup meeting. Mehta chats with a fellow Amazonian. Mehta's favorite part of his weekend? Leisurely breakfasts with his family. Mehta gets his son, Vraj, ready for the day. In Mehta's words, "My family means everything to me." Life was good, until one day in July 2017. Mehta shared the news with his team and manager. Full-time Amazon employees receive comprehensive medical benefits from day one – their first day on the job. It’s part of a full range of benefits including prescription drug, dental, and vision plans that are offered to Amazonians and eligible family members including domestic partners and their children. Amazon has long held that offering medical benefits on day one is the right thing to do for our employees. Amazon gave me so many opportunities. They always encourage me to try something new, and help me with my leadership skills. For Mehta, that also meant lower out-of-pocket costs for his treatment. Eight months later, he was ready to return to work and his team couldn’t wait to welcome him back. “Everyone was so happy to see me. They knew I was sick so they were glad to see that I was better.” He still has follow-up appointments with his doctors, but Mehta is cancer free and continuing to advance in his career.